$10.00/mo. per inbound fax number. This is an inbound-only fax service. 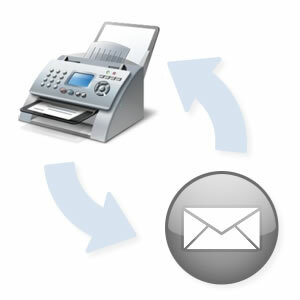 Faxes come to a designated email address such as fax@infotelsystems.com as a PDF file attachment. This is an outbound-only fax service. Sending faxes is as easy as using an office printer. We install a “facsimile printer” program on your PC. You get an email receipt of the success or failure of your fax sent. $29.95/mo. per line + $150 one-time. This is simply a fax line for your old paper fax machine. We install a special adapter that converts the Fax line into a VoIP signal that connects back to the Infotel Systems data center. It’s a better fax line than a Comcast or Verizon faxline. We do not keep facsimile images after transmission. The images are only buffered in solid state memory until emailed. Email addresses are never used or distributed. Our products are HIPAA compliant. We are hosted fax experts and process all faxes at our Richmond data center. We would be a great choice for business faxing from the 804 area code to US destinations. Why, in short, we are close to you Richmond! We maintain an ultra-low faxing error rate. Many fax systems have high failure rates of as much as 10%. Our specially engineered system keeps these error rates under 2%, which leads the industry. Discounts are as follows for $10/mo products. Two items = 2 x $9 = $18/mo. Three items = 3 x $8 = $24/mo. Four items = 4 x $7 = $28/mo. Five items = 5 x $6 = $30/mo.